Decide your overall “feel” of your posts. 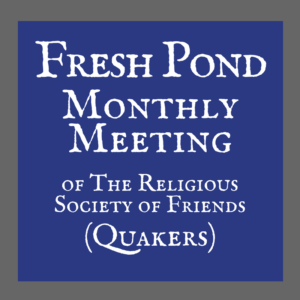 What reflects your meeting’s primarily ministries, or what do you want to share with the wider world? Create a logo – it can be words, not always a professional picture. You will want to make sure you identify your Meeting on each graphic post in case they are reshared – perhaps including a website url. Quotations – I tend to find Quaker thoughts and saying in Quaker faith and practice – which are often online. This is a good “assignment” for members of your meeting – sending quotes they have found meaningful or that reflect specific aspects of your meeting. Pictures! 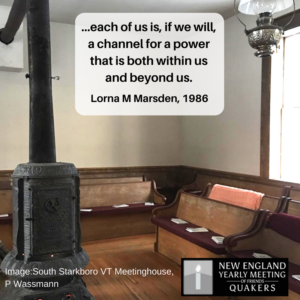 Of historical Quakers, yes – but also remember to share pictures (with permissions) of members of your meeting. Perhaps in meeting activities, or in witness and work in your communities. Background pictures and illustrations. I tend to use sites that provide free downloadable pictures for these, such as Pixabay or Unsplash. 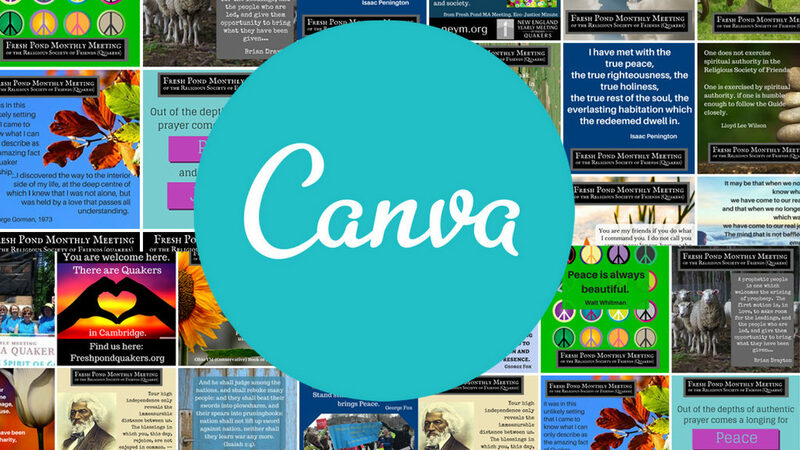 If you use a paid version of Canva – make sure to use the folders to sort your pictures. I use one for logos, and another for pictures of Friends in our meeting, to have handy. Duplicate posts for editing. Like to have the logo in the same place each time? Using the same background for multiple posts, and just changing quotations? You can create a copy of a post, and edit that one. Advanced graphics – I use giphy. If you would like to use another program/app to make an animated picture, you can use Canva easily for this. Canva can create a series of pictures, the exact same except for one changed element – and then you can load them into an animation program ad make a short gif for Facebook or Instagram. Technology is a tool. How will you use it with mindful intention?